LAKE BUENA VISTA, FL -- The father of a toddler killed by an alligator at Disney last month told rescue officials two alligators were involved in the attack, according to emails from the Reedy Creek Fire Department. 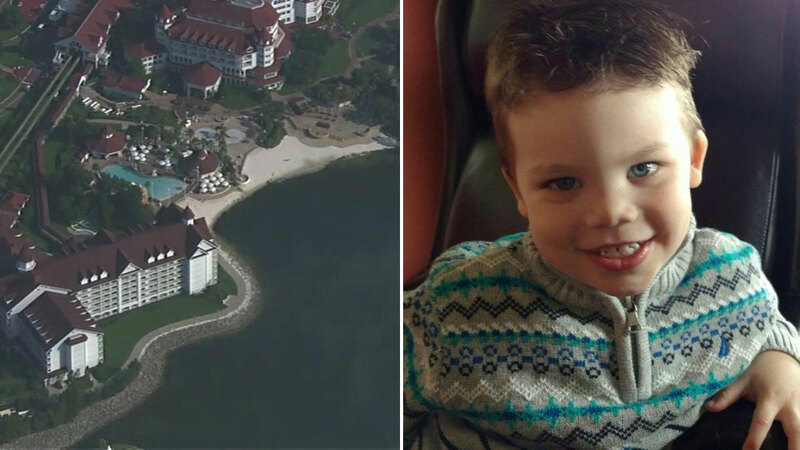 Matt Graves said he was attacked by a second alligator as he tried to reach his 2-year-old son after the boy was pulled into the water outside Disney's upscale Grand Floridian Resort. Capt. Tom Wellons described his interaction with the Nebraska father in emails to his supervisors obtained by The Orlando Sentinel. Wellons said Graves initially refused to leave the area as rescuers searched for little Lane Graves even though the father needed stitches and antibiotics from gator bite marks. Wellons said he eventually persuaded Graves to get medical treatment, promising he could return afterward. "This incredibly sweet couple insisted on showing us pictures of their happy son. (The) mom kept referring to him as her 'happy boy,'" Wellons wrote in the emails. Officials say "We are just focused on trying to find that young boy." On the way to the hospital, Graves shared "the horror that he experienced" as his son was being pulled into the water and "how another gator attacked him as he fought for his son," according to the email to supervisors. The emails were forwarded to Orange County officials to alert them there may be a second gator. The boy's body was discovered intact about 15 yards from the shore, six feet underwater. Signs posted in the area advised against swimming but did not warn of alligators. Florida Fish and Wildlife Conservation Commission officials have said they're "confident" they caught the alligator that killed the boy. Agency records listed 15 alligators caught on Disney property from the beginning of this year through May. It didn't include the six trapped since the June 14 attack. Walt Disney World recently erected "No fishing" signs on several properties. Fishing at Disney World is now limited to excursions. Netting was also added to the rope fences that were installed after the attack and hotel beaches are now being staffed by employees and closing at night, except during fireworks. Disney has beaches at eight hotels and at the Fort Wilderness campground. Authorities searched for a 2-year-old boy who was pulled into water by an alligator near Disney's Grand Floridian Resort & Spa in Orlando. The Walt Disney Co. is the parent company of abc13. If you ever come across an alligator, Texas Parks and Wildlife officials has a list of what you should do, as well as a list of DOs and DON'Ts for people living with alligators.